« For King and Country? In July last year I wrote here about a 463 Squadron Flight Engineer named Sergeant Peter Taylor, and his sister-in-law, Joni, who has been trying to find relatives of Sgt Taylor’s crew. I published the names of the rest of the crew on the blog, in the hope that it might attract a passing Google search. The men wearing the white lifejackets are Sgt taylor and his crew (the others are their ground crew). 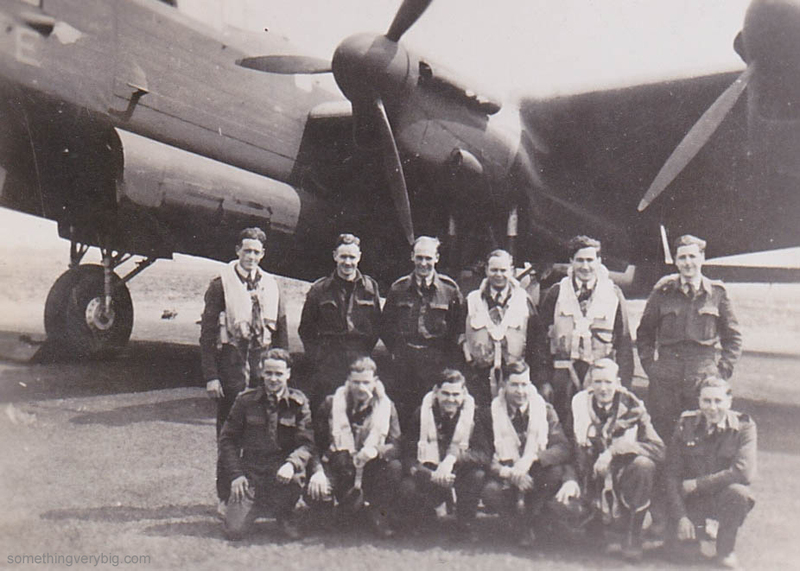 Aircrew in the back row, left to right are pilot P/O J.F. Martin, wireless operator F/S G.W. Bateman and bomb aimer F/S Tom Malcolm. In the front row, left to right, airmen are flight engineer Sgt Peter Taylor, navigator W/O Bernard Kelly, mid-upper gunner F/S L.G.L. Hunter and F/S Bramwell Barber. Bramwell Barber is on the far left, Tom Malcolm is next to him. 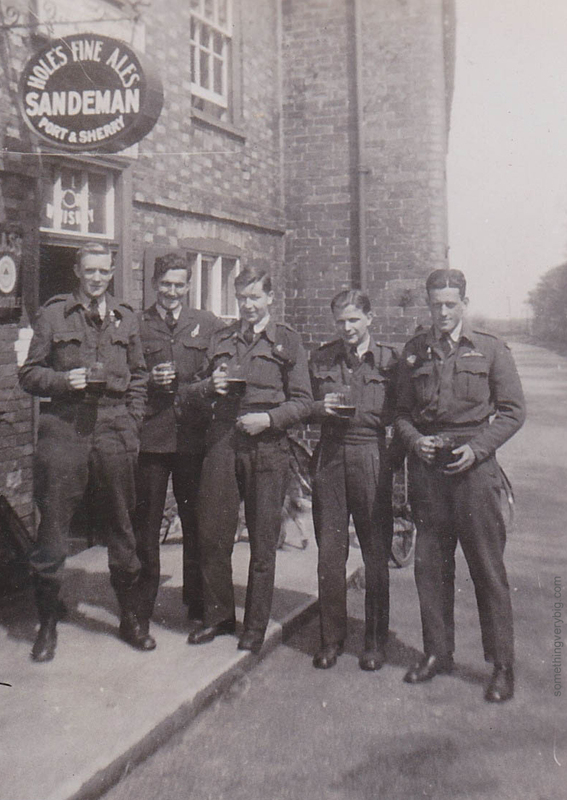 The airman in the middle is unidentified. Next along is Peter Taylor, and on the far right is skipper J.F. Martin. Once again, the power of the internet is demonstrated. Two people, on opposite sides of the planet, brought together simply through a little bit of curiosity, a blog post and the wonders of the Google search algorithm. I’m happy I was able to help. And finding Susan has inspired Joni to continue her search for the rest of her brother in law’s crew. I’d call that another satisfied customer! Tom Malcolm was my parents closest friend and he and my father who were both ex RAAF worked together in aviation meteorology for over 30 years. Both our families lived in the same area and dad and Tom socialised, fished, shot ducks, mushroomed, ferreted and played cribbage with my grandfather together. He let me know some aspects of his tour and shootdown etc when i was mature because he’d known me all my life and knew I was mad about aviation and knew a bit about aircrew and bomber command etc. I’m happy to talk Susan and Joni if they are interested. Have tried to contact Susan directly through Tom’s daughter but she has moved and her new number is not answering. Thanks for your comment – I’ve passed your email address on to Joni and Susan. Lovely to hear from you. This post (and others along the same lines) have been quite successful in the last few years in finding family of various members of Peter Taylor’s crew. Send me an email (see the “contact me” link above) and I can pass them your details if you’d like.